I read this book after reading volume 2 and this is basically the full-on straight story of Rasputin and his bring people to life mojo. 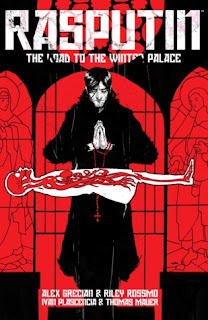 While volume 2 takes place in the present with Rasputin recounting the events of his life, this volume takes place in the past during the Russian thrones demise. I found it amusing; this historical/mystical angle.